When you work toward a big goal, discouragement is bound to happen. 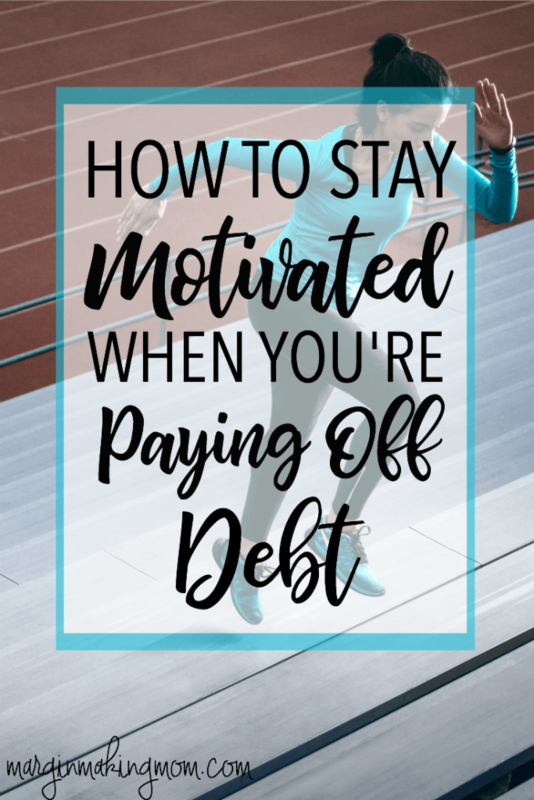 Finding motivation to pay off debt is a crucial part of success! “We’re never going to achieve our goal,” I thought as I realized that our dryer had finally died. The dryer was older than me, so I wasn’t necessarily surprised. Just discouraged. We’d already replaced the washer not too long ago. We’d also recently replaced the radiator in our car, bought a used van to accommodate our growing family…and the litany of expenses went on. 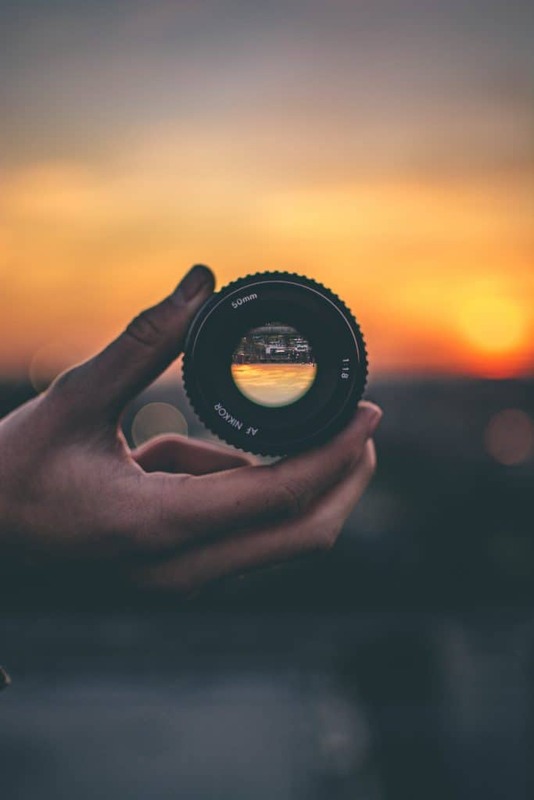 We had been living frugally for so long, and another large expense meant we were going to press “pause” on our goal of debt freedom once more. Maybe you can relate? Maybe you’ve had an audacious goal that you’ve been working toward, only to have setbacks roll in. Perhaps you are tired of making so many sacrifices to pay off your debt. Maybe it seems like you’ve been living on beans and rice forever. Sometimes life is just that way, right? 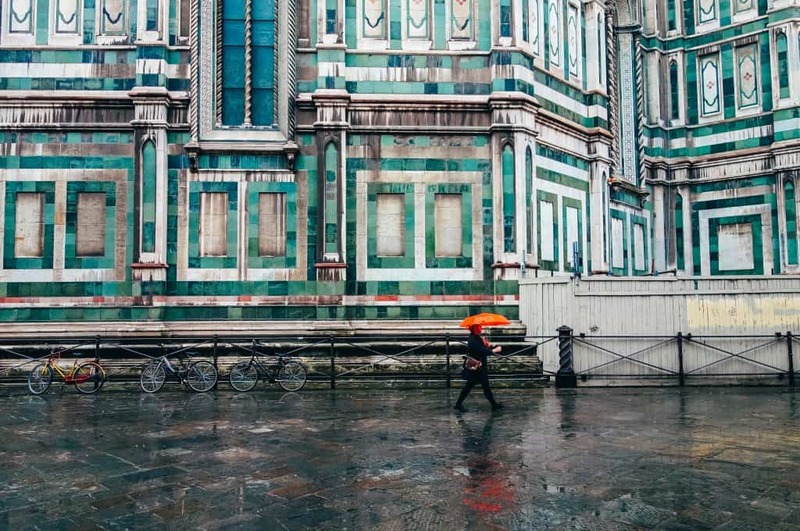 We’ve all heard the saying, “When it rains, it pours.” It’s hard to feel like you’re in the downpour, isn’t it? Anytime you are undertaking a significant goal, such as paying off debt, discouragement is bound to happen. Anything worth achieving will generally not be easy. Our own debt free journey took several years, and sometimes it can be hard to work toward something for so long. I certainly had my share of disappointments and frustrations along the way. I don’t want to minimize that difficult part of the journey, but rather share with you the tips that made a huge difference. Finding motivation to pay off debt was critical to our success. 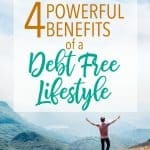 These five tips will help you to stay motivated during both the ups and downs of your journey toward debt freedom! Why do you want to achieve this goal? Knowing your “why” is central to YOUR motivation. Someone else’s reasons won’t motivate you the same way your own will. In order to suffer through the sacrifices that you’ll be making, the benefits of reaching your goal have to be worth the temporary pain of getting there. Think about how life might be different once you achieve debt freedom. What will the benefits of a debt free lifestyle be for you and your family? Will you be able to work less? Travel more often? Give more generously? Live with less stress? Whatever your reasons are, write them down. Put them in a safe or visible place where you can refer back to them during times of discouragement. Everybody needs a cheerleader. Having someone who has been down the same road is an amazing source of encouragement. Maybe you know someone who has paid off all of their debt. If so, that’s a great person to call when you are feeling discouraged. If there’s nobody in your circle who can relate to your journey, you can find support online. There are blogs and Facebook support groups for people getting out of debt. These can be a great way to stay motivated as you cheer one another on during the process of achieving your goals. Having a cheerleader (or a group of them!) is also great accountability. You are more likely to achieve your goals when somebody else knows about them! It is so helpful to know that you aren’t alone and that others have shared the same struggle and come out on the other side. Reading and listening to inspiring debt-free stories was super helpful when we were getting out of debt. Any time I felt discouraged or overwhelmed, I would listen to callers on the Dave Ramsey Show do their debt-free screams. 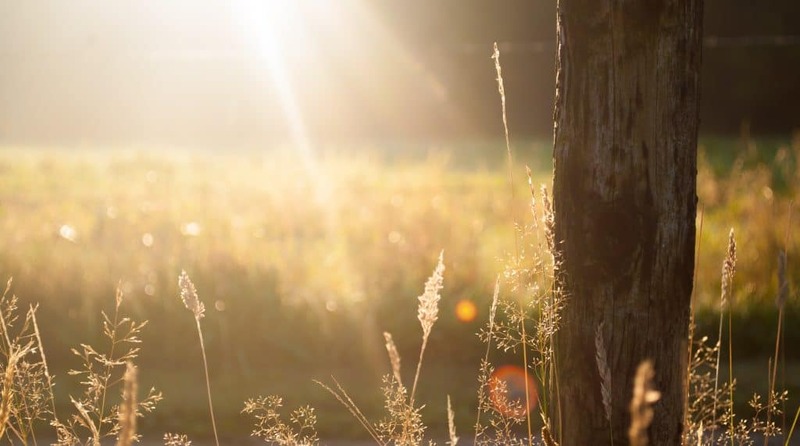 Shannon at GrowingSlower has a collection of several debt payoff stories of real, everyday people. 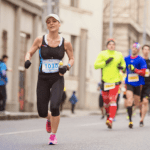 Check it out and I bet you will feel a jolt of energy as you continue running your race to pay off debt! 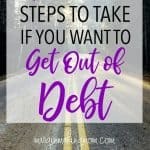 Especially when you are just starting out on your debt-free journey, it’s all-too-easy to focus on how deep in debt you are and far you still have to go to reach your goal. Instead, focus on what you have accomplished. Try to shift your focus to one of positivity. I’ve mentioned that our debt-free journey took several years to complete. Every time there was a setback, it was easy to feel discouraged and think about how much debt we still had to pay off. But I learned that it was more motivating to consider how much progress we had made. 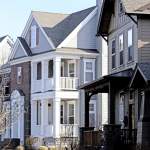 When I considered the thousands upon thousands of dollars we’d paid off, I could feel good about our efforts. Tracking your progress can be really gratifying and also show you that what you’re doing is working. You can read about the debt payoff trackers we used here! Thinking about the positive lifestyle changes we had been able to make due to our progress was also helpful. For instance, I was able to work less and stay home with our children more, simply because we had already paid off a huge portion of our debt. This positive focus was very helpful motivation to pay off debt! Whether small or large, your victories are worth celebrating! 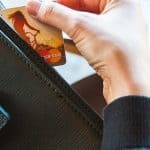 Did you pay off a credit card that had a $500 balance? Celebrate! Did you pay off the remaining $10,000 of your car loan? Celebrate! Now, I’m not saying you should go take a vacation or do something really expensive every time you pay off a debt. But, rewarding yourself is a great motivator! I think it’s totally fine to plan a special reward for when you hit your next milestone of the journey. Sometimes having something to look forward to can help keep you going when things get tough. However you choose to do it, take the time to celebrate your success! When you find yourself feeling discouraged in your journey, don’t give up! Instead, seek motivation. Think about the reasons you are doing this and how your future will look different when you’ve achieved your goal. Talk to someone who’s done this before. Read inspiring success stories. Focus on what you’ve accomplished so far, and celebrate each win along the way. By intentionally seeking motivation, you will be far more likely to reach your goals. It probably won’t be easy, and it may take some time. But downpours don’t last forever. And when you finally come out on the other side, the sunshine feels great. You’ll be so glad that you didn’t give up! Do you want to learn how to create and implement a cash envelope budget? My husband and I used cash envelopes for years, and it was one of the best things we did to get a handle on our money to pay off debt. But when we first started, I had so many questions…”How often do I need to go to the bank? What budget categories should I use cash for? 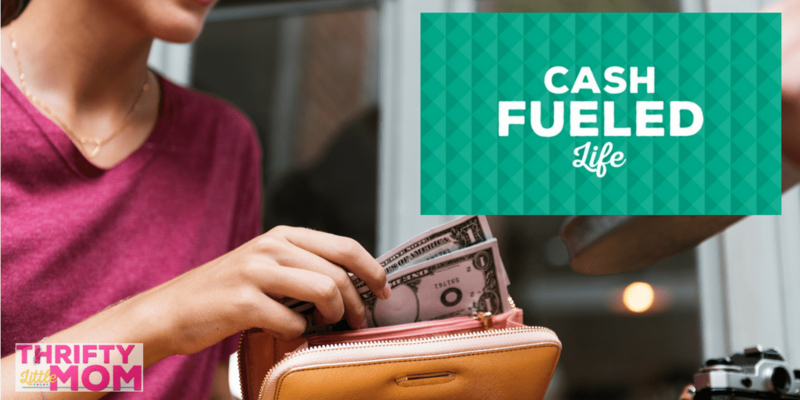 How do I handle the checkout line?” If the thought of starting a cash envelope budget sounds overwhelming to you, I highly recommend checking out Cash Fueled Life. 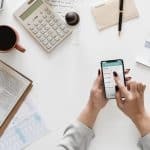 It has all of the information that I wish I’d known in the beginning of our budgeting journey, and it walks you through the ins and outs of setting up a cash envelope budget that works for YOU. Click on the image below to learn more!